If you have read my previous posts, you may have decided to trial a Very Low Carb Ketogenic Diet. In my last post, I thought I would start to give you some practical advice to achieve that. 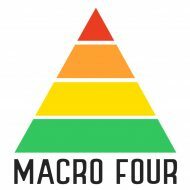 Before we start looking at that, I would like to state the Macro Four principles of chronic disease management. And now I introduce the third and probably the most important one. Find people who have walked a mile in your shoes. Why do I say this? Well, suppose that there is a cure out there and that people have discovered it. Let us say that cure is effective and people have been quietly taking benefit from it for a while. Let us say that cure has not been given the official anointment in your country or local area but has been widely practised in another- officially or unofficially. The official channels of your health system may not offer you that cure for decades. However, there would exist a pocket of people quietly benefitting from that cure but because they are probably ‘unofficial’ you may not hear of it. You could perhaps find a group of fellow sufferers and talk to them. Alternatively, lets say you have decided to try a ketogenic diet, find a large group and ask- Has anyone found this has helped condition X? You have little to lose from this approach. It is just talking to people. Health networking is your surest way to find that is to find a group of fellow sufferers and talk to them. How will you find advice? Before we talk about where you may find those people to get some advice, let us talk about the common places that you won’t find those people. After all, your time without relief is time suffering. You want to spot the time wasters. You are unlikely to find someone with a advice for a better solution at a self-help group educated by your local, not for profit organisation for your chronic condition. That is because those ‘experts are dead’ and they will offer you conventional therapies that mean that you will remain chronically sick. Their advice may be complementary to a path you choose to take, or they may even discourage you from an alternate solution. Why would they do that? The reasons are many and varied. They follow the standard treatment. You probably won’t find ‘cured’ people there. Their mission statement probably perpetuates the ‘learned helplessness‘ that you want to leave behind. That standard treatment might be as preferred by outside interests like the pharmaceutical or food industries. If that seems strange to you it isn’t. Let me state that I do not believe in ‘conspiracy theories’. On the other hand, there is almost always an explanation for human behaviour however, nonsensical or odd. Most of the time it can be understood by looking at the flow of money. Earlier, I focussed on PCOS because I expect that by the time many of you read this blog, the example of type 2 diabetes will seem so obvious in retrospect. Then again, maybe not! Nonetheless, here is my experience as someone with type 2 diabetes. I was diagnosed with type 2 diabetes about five years ago. I duly followed what Diabetes Australia recommended. Without repeating some of my earlier blogs, it was a disaster. My health deteriorated. After some three months on a VLCKD and with greatly normalised blood glucose, I rang up their help line to see what advice they would give. Sure enough, the CREDENTIALED DIABETES EDUCATOR told me to eat more carbohydrates. That would have been a disaster. Me ringing up was an oddity. I am just the kind of contrarian individual who would do that. I have toyed with the idea of going to one of the self-help groups to spread the word but who wants an ugly scene with the group expert? So once someone has found a solution, they won’t frequent those social circles. You need to find the people who have the ‘cure’ and talk with them! Chronic disease charities do say they want to end their illness. In the end, they accept donations for a mission and are a corporation in their own right. They probably honestly want to give you help and advice. Take it. Check it. Then discard any notion that is the end of it. Avoid any learned helplessness that may come from depending upon them and seek to do better. Now we get onto the thorny question of the influence of industry on not-for-profit entities. There are no conspiracy theories on this blog. It is normal corporate behaviour to protect and maximise a revenue stream for shareholders by spending budget to create profits. That is just business. When was the last time you heard a CEO say: “We think there is a better solution than our product. Please use that solution.”? Primarily for the health and pharmaceutical industries, the expenditure to protect a revenue stream comes under the ‘marketing budget’ and the ‘Research and Development’ budget. Not-for-profit’s too are still corporations. They do not have to look after your health although they may state that they do. It would be rare for a government to legislate that. If a not-for-profit says that they are there to look after your health, it is (in most countries I know of) pure self-regulation. They are more likely to take care of their member’s interests, but they are not even obliged to do that! Will Your Local Pharmacy (Chemist/ Drug Store) Provide Advice? You might bump into someone at your local chemist who has a solution but will they talk to you to tell you? So here is a story. I had just gone to the chemist to buy some glucose testing strips after I had ceased my diabetes medication due to going low carb. There was a lady about 70 years old. She was filling her prescription for the diabetes drugs that I had just ceased. I almost spoke to her to tell her that there was another way but then realised that she would probably think I was crazy. I was not her doctor or dietitian. Now I am no shrinking violet, so your chances are not good for that to happen. On the other hand, if you are that person who is told this by some ‘crazy’, maybe you should give it some consideration? But there is another reason your chemist may not provide advice. I give you a ‘wonderful’ website to manage your diabetes if you are Australian. Now you have to look hard to the copyright message at the bottom to see that this site is owned by Sanofi- a pharmaceutical company. It is a standard commercial behaviour to protect revenue streams so, while their advice is probably valid to help you manage your diabetes through their medicines, don’t expect to find any therapies to get you off them on this website. Want proof? Have a look for any mention that, with diabetes, you should avoid sugar or reduce carbohydrates. Also, do not expect to get such advice at the chemists that they point you to. They tell you that they have educated these pharmacists. Education is usually part the marketing budget. So if you want advice on how to manage a lifetime of medications, then those chemists and their pharmaceutical company education will suit you well. Alternatively, if your desire is to eliminate or reduce your dependency on medicines, I would now be asking my pharmacist if they have any pharmaceutical company training in my medication and be aware that may cause bias. I do not know what else the pharmacist receives in this arrangement (if anything), but maybe one of them or Sanofi could tell us in the comments below. Still, that website could be useful to tell you which chemists to avoid. Does this shock you? Maybe mildly? Well, get used to it health consumers with some dollars to spend. This is normal commercial behaviour. 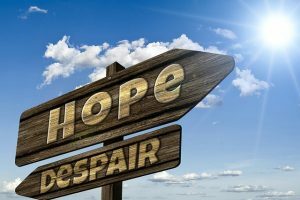 In this blog, we will examine many other examples as we find out how we might find that elusive cure for our chronic disease. Next, we will consider whether you may get a solution from Dietitians. Excellent! My second time reading I realize it is common sense. Thank you. Thank you Carloyn. Your comments are welcome.